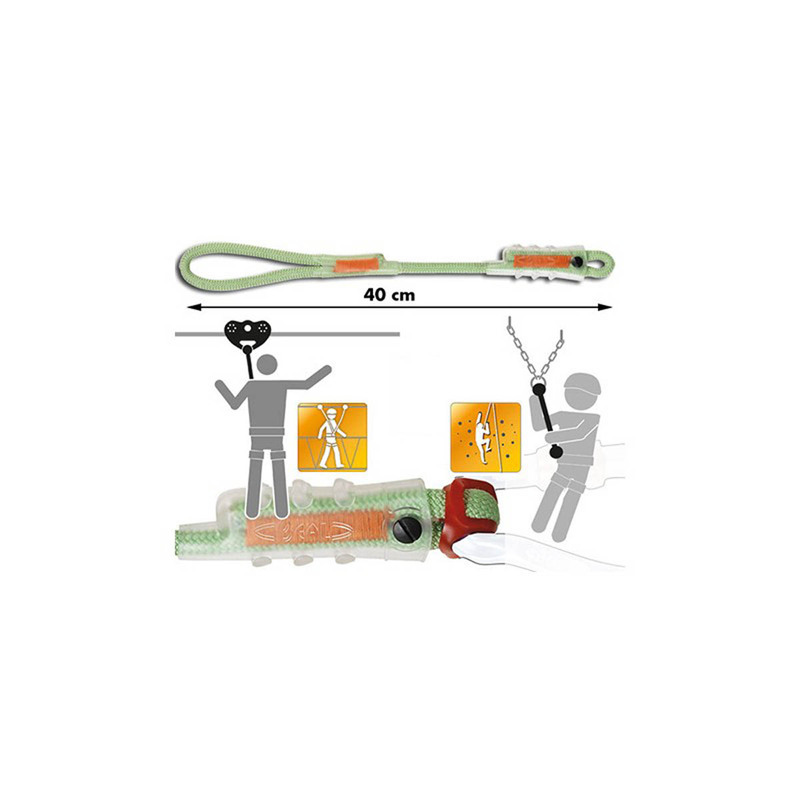 The Beal DynaClip is a dynamic rope for clipping into anchors, able to offer a higher level of protection than Dyneema sewn-tape alternatives. 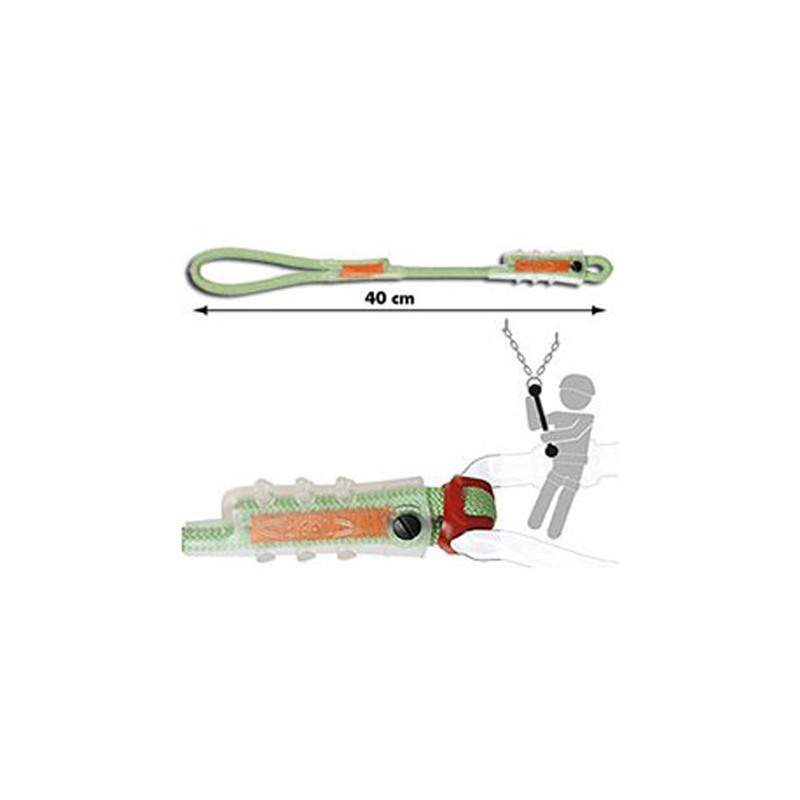 Being a dynamic rope, the Beal DynaClip, in the event that a climber accidentally slips, or does something to dynamically load their protection, will be able to absorb the impact forces much better than sewn-tape alternatives that are only designed to provide static strength. (Sewn-tape slings also become weaker when tied with knots to set up a system similar to the DynaClip’s.) Still lightweight and compact enough to carry in bags and on harnesses. • Available in 3 lengths: 40 cm, 50 cm, 75 cm.